An Alaska Air Bombardier Q400 similar to this one, operated by Horizon Air, was stolen and crashed by an anguished employee late Friday near Seattle. An anguished airline employee who told air traffic control he’d never flown before stole a dual engine 76-seat passenger plane and led two NORAD F-15Cs on an unnerving chase, complete with barrel roll, near Seattle before crashing late Friday. The employee worked for Horizon Air, which operates the Bombardier Q-400 aircraft for Alaska Airlines. Horizon Air chief operating officer Constance Von Muehlen said the employee took the aircraft from Seattle-Tacoma International Airport with no other passengers on board. His transmissions with air traffic control were on an open frequency and were posted on social media almost instantaneously, as well as footage from people on the ground and local news outlets, who showed the aircraft flying over local neighborhoods, then executing a large barrel roll over water. 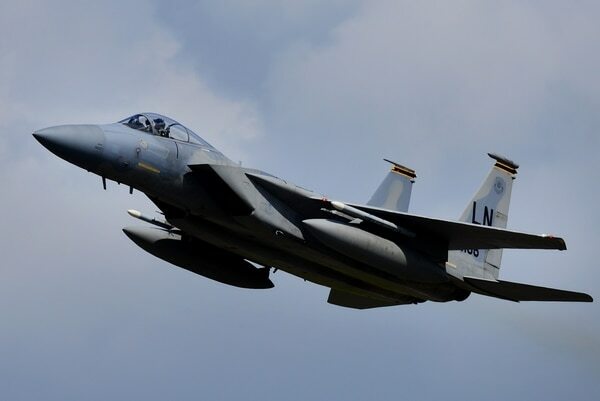 North American Aerospace Defense Command launched two F-15Cs from Portland to intercept the jet, directing the pilots to fly supersonic to expedite the intercept, while air traffic control tried to talk the pilot into landing the plane at nearby Joint Base Lewis McChord. It is not clear whether the employee had any previous flight experience. He told air traffic control, “I’ve played some video games before,” but also asks for help trying to get the cabin pressurized so he won’t be light-headed.